After eight women accused him of sexual misconduct, the senator announced he is stepping down. Facing numerous accusations of sexual harassment including forcible groping and kissing and numerous Democratic senators calling for him to leave office, U.S. Sen. Al Franken announced Thursday that he will resign. "I, of all people, am aware that there is some irony that I am leaving while a man who has bragged on tape about his history of sexual assault sits in the Oval Office, and a man who has preyed on underage girls is running for the Senate with the full support of his party," the Minnesota Democrat said on the Senate floor. 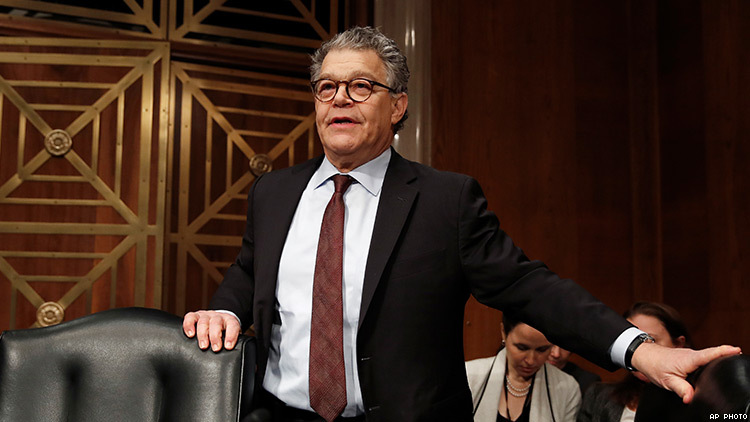 During his speech, Franken denied some (but not all) of the accusations of sexual misconduct and argued he had "earned a reputation as someone who respects the women I work alongside every day," despite the allegations. Watch his full resignation speech below.